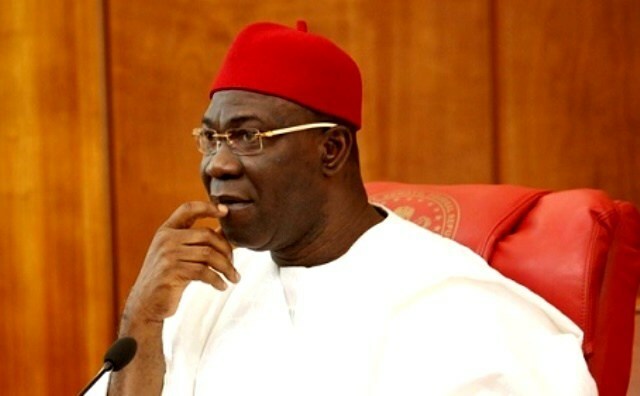 Deputy Senate President Ike Ekweremadu, his wife, and son escaped an “assassination attempt” Tuesday morning, his media aide, Uche Anichukwu has said. Mr Anichukwu in a statement sent to our correspondent said armed men invaded Mr Ekweremadu’s Abuja residence at about 4 a.m. Tuesday morning. “The attackers, who could not immediately shoot in order not to attract the attention of the security personnel on duty, took hold of his son, and commanded him to lead them the Senator’s bedroom,” the statement noted. It further states that one of the ‘assailants’ was arrested while others escape. Mr Anichukwu however did not state the current situation of the three or whether they sustained any injury. The statement recalls that similar incident happened in 2015 and despite that “it was reported to the security agencies, nothing has been heard about the matter till date”. Bala Ciroma, Abuja police commissioner, said he had not been informed of the incident.